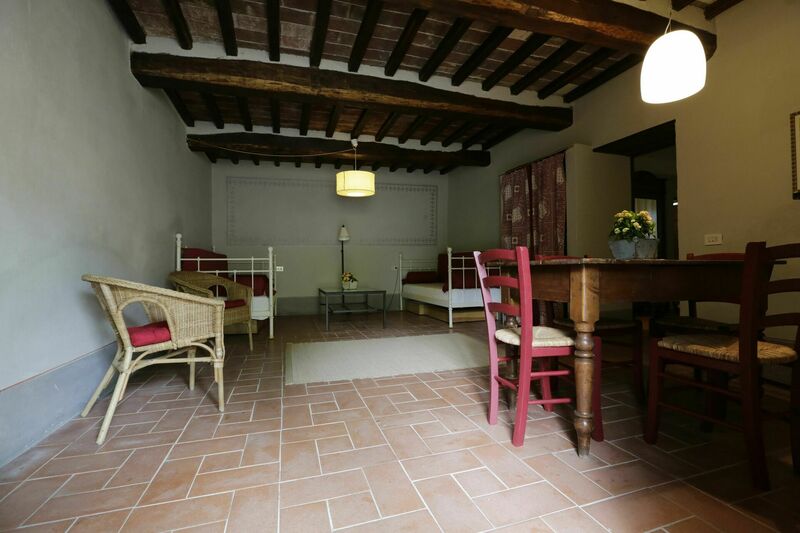 Apartament Grey ( 60 sqm ) , is part of the main building at Le Logge. 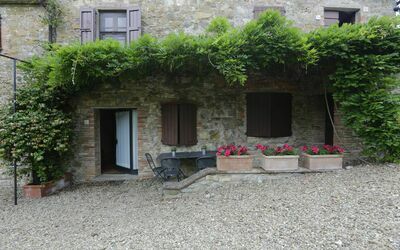 The entrance to the property opens directly into the lounge/diner. This is quite a spacious room which has been simply but comfortably furnished with easy chairs, and two sofas (which can be comfortable single beds as well). 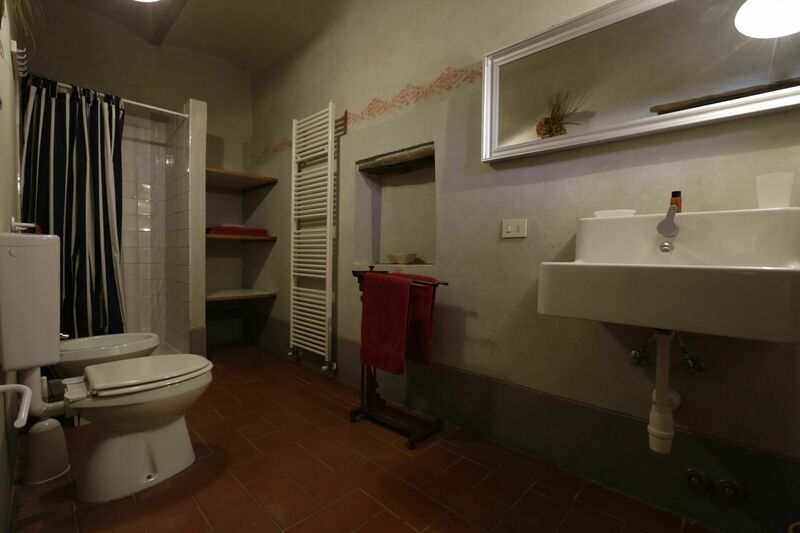 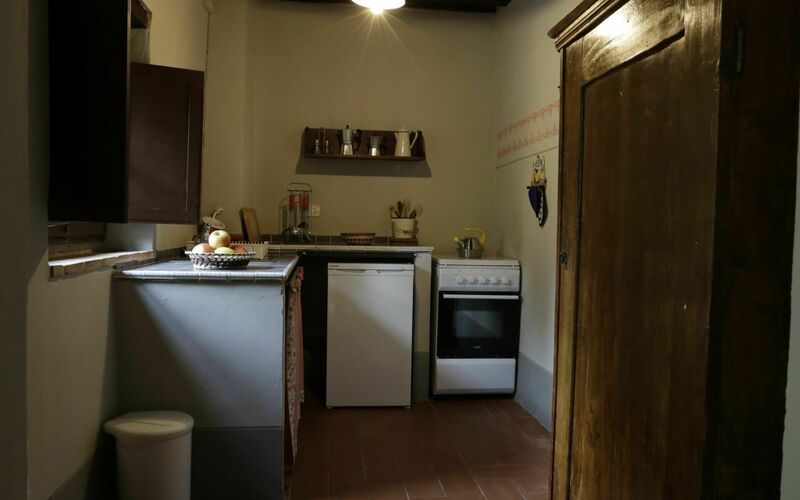 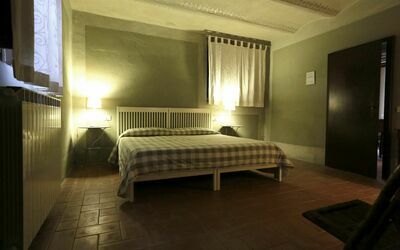 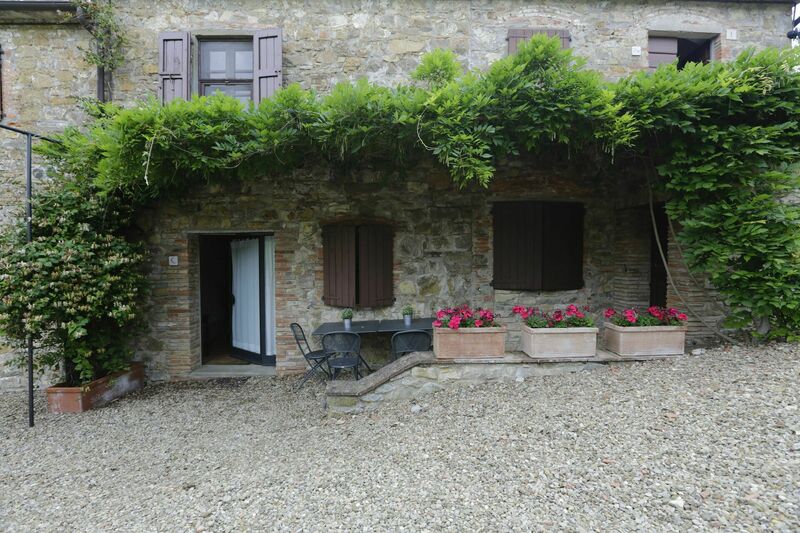 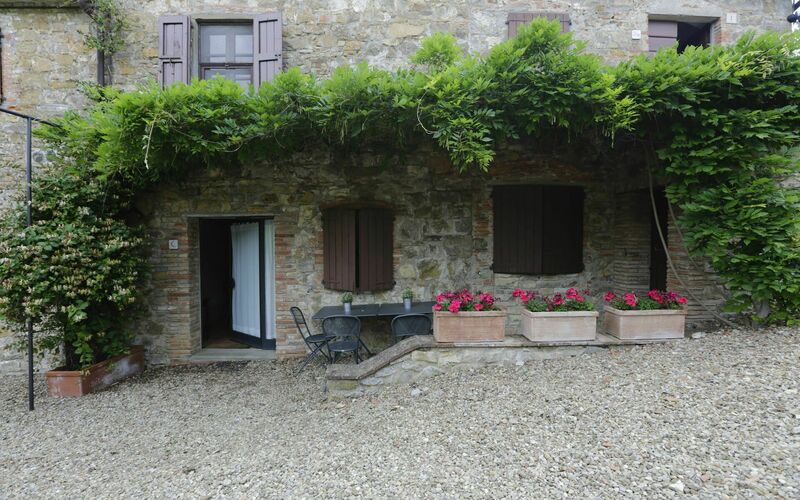 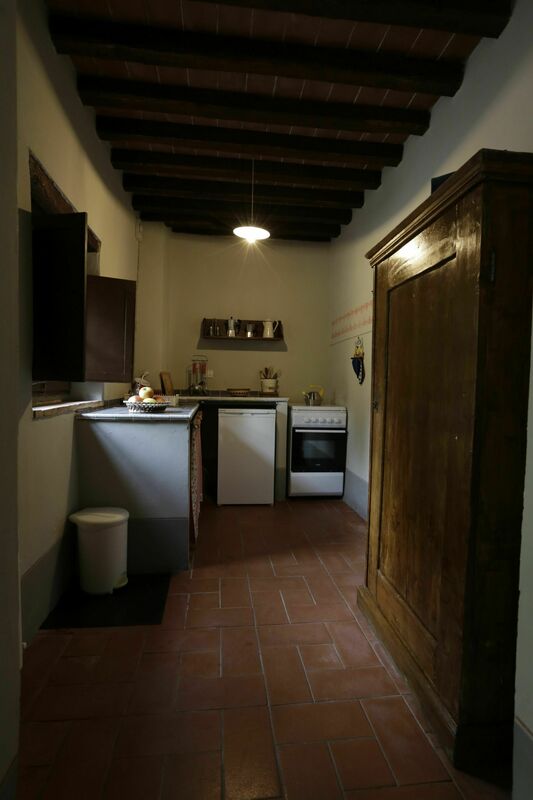 At one end there is a traditional Tuscan wooden dining table and chairs and there are terracotta tiled floors and beamed ceilings in most of the rooms. From the lounge there is a door to the bedroom which has an attractive vaulted ceiling and two windows which let the light flood into the room. 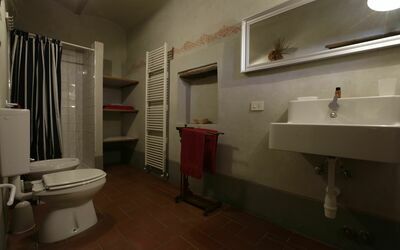 The ensuite bathroom has a shower, basin and WC. To the left of the entrance door is the small but fully equipped kitchen with oven and fridge.